Complete Hardfacing Services (CHS) is headquartered in a state of the art 13,000 ft² facility in Leduc AB and is equipped with 2 production hardbanding units. This facility provides an optimal environment for hardbanding application, minimizing handling time and costs for the customer while maximizing the quality of the end product. CHS is also equipped with a fleet of mobile hardbanding and grinding units, bringing field services to Alberta and southern Saskatchewan. Complete Group is devoted to progressing the offerings, performance, and efficiency of its hardfacing services. 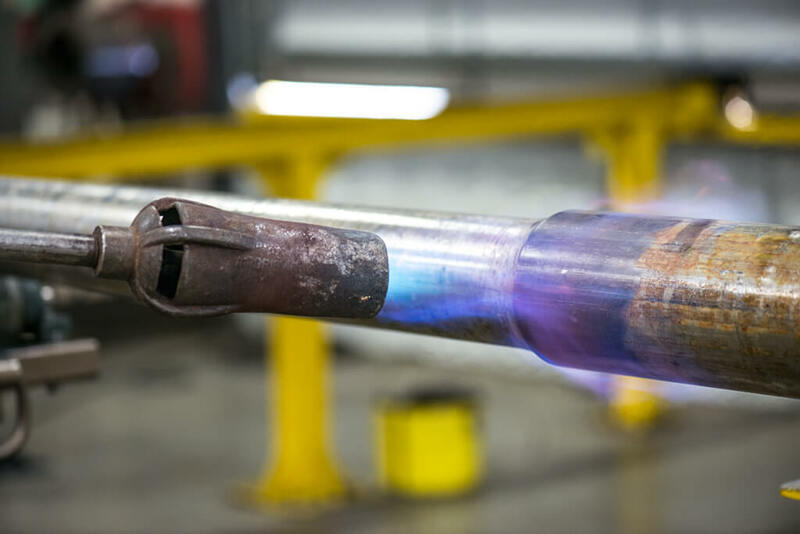 Extensive qualification testing has been performed on a variety of wire options, ensuring magnetic permeability, wear resistance, and hardness meets the strict requirements of our clients. SpiraBand™ helical hardfacing has been developed as an impressive alternative to traditional hardbanding, extending the service life of tubulars and non-mag components with flow friendly, spiral applications. 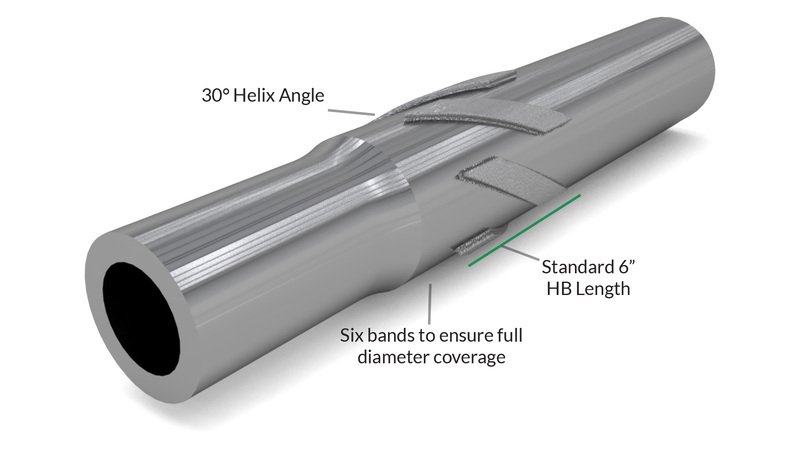 Available in a variety of configurations, SpiraBand™ is customized to your needs and is available in casing friendly alloy and tungsten carbide embedded weld matrix. 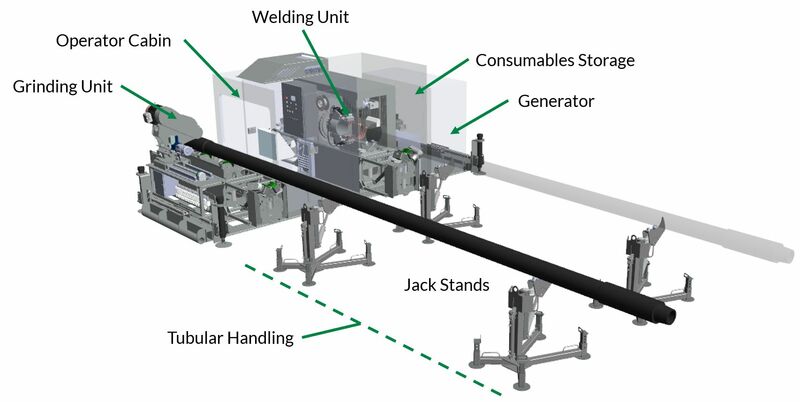 Complete Group is working to bring a new generation of mobile hardbanding unit to the field, designed as a self-contained, semi-automated hardfacing and grinding unit. The units have been developed to increase consistency, throughput, safety, and quality in even the most dynamic of field conditions. Non-destructive inspection of BHA components? Learn more about our non-destructive inspection capabilities.